Mary Eileen McGuire is an Enrolled Agent licensed to represent taxpayers before the Internal Revenue Service. She is a National Tax Practice Institute Fellow and has successfully completed New York University’s program in taxation and personal tax counseling. She received her United States Treasury Card in 1975. Ms. McGuire is Past President of the National Association of Enrolled Agents (NAEA). In 1997 she received the NAEA Founders Award and in 1999 was awarded the Association’s Excellence in Education Award. 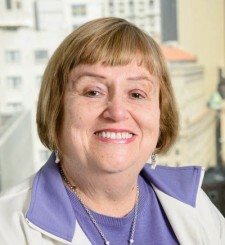 In 2001 she was the recipient of the New York State Society of Enrolled Agents Founder’s Award. Ms. McGuire has the distinction of serving a two year term on the Commissioner of Internal Revenue Service’s Advisory Board. Ms. McGuire works in all areas of taxation and representation, concentrating on individual taxes and tax return preparation and on estate and trust taxation.